Small introduced plant that is well established in semi-shady places near houses, roadsides and even in the underwoods. The Ground-ivy is sometimes considered a weed, because it can become invasive, but has numerous medical and culinary uses in addition to being a ground cover that holds the soil well on steep slopes. 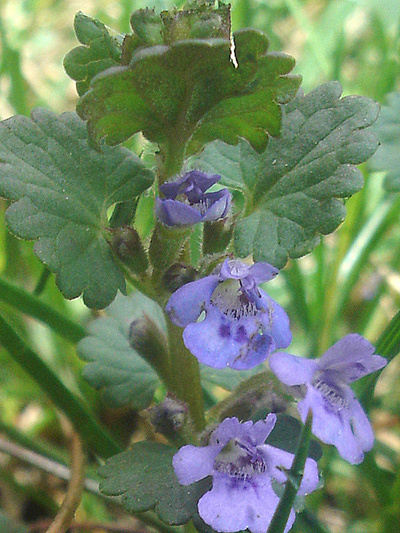 Melliferous, Ground-ivy attracts several species of bees.